Garmin, best known for making GPS units, isn’t content to let GoPro run away with the action camera market. The VIRB action camera announced today has all the standard action camera bells and whistles including 1080p video at 30 frames per second, a 16-megapixel CMOS sensor, digital stabilization, waterproof construction (no housing required), and a 2,000 mAh lithium-ion battery that reportedly allows the camera to record three hours in high-definition. It also has a 1.4-inch screen for visual setup, preview, and playback right on the camera. Footage is stored onto removable microSD cards. Where the rugged VIRB could really set itself apart in the action camera-driven sports world, however, is the way it works with other Garmin GPS units and ANT+ sensors. Because the VIRB runs Gamin’s ANT+ communication technology it is possible to use a Garmin Fenix watch or Edge cycling computer as a remote control for the camera. And not only that, ANT+ will also allow users to record sensor data like speed, heart rate, cadence, and temperature right along with the video. Videos will not only show how fast you’re going, but exactly how gripped you were when you dropped that cliff, or how maxed out you were on that steep mountain bike climb. A second version of the camera, the VIRB Elite, which is scheduled to ship in late 2013, will include an accelerometer, altimeter, high-sensitivity GPS, and a Wi-Fi connection to smartphones (running Android or iOS) for even more onscreen data points that will amaze your friends and family. Garmin VIRB Elite on a mount. 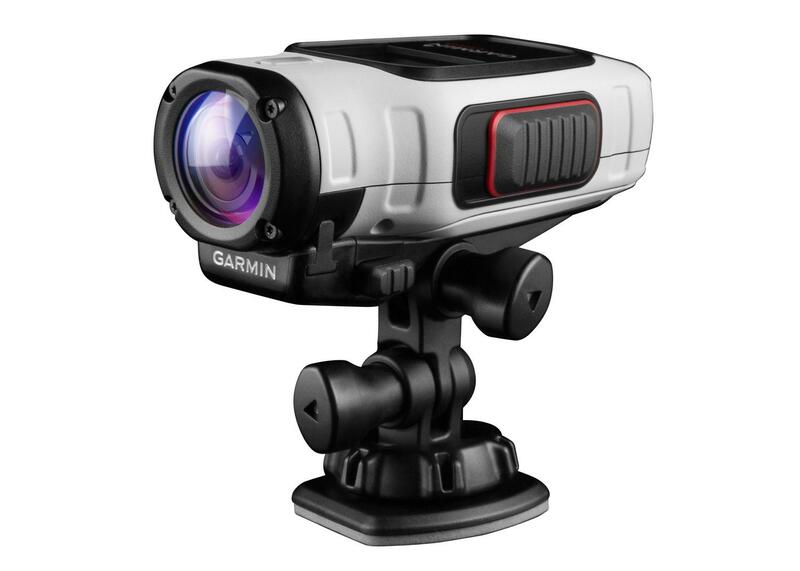 The VIRB is currently for sale on the Garmin site for $299, with an order processing time of one to two weeks. The VIRB Elite will sell for $399. Hit the video below to check out footage shot with the camera.